In 2010 Dr. Mei brought seventeen years of electron microscopy expertise to the Lumigen Instrument Center. As Research Associate of the Electron Microscopy Laboratory, he actively interacts with and trains users so that their images are of the highest quality. 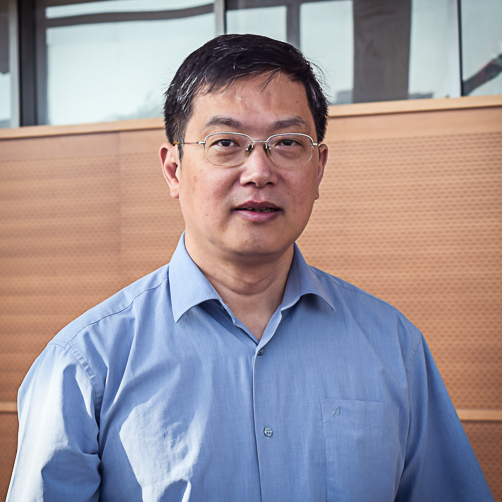 Dr. Mei's research interests focus on the relationships between chemical composition, microstructure and physical properties of metals, alloys, and metal matrix composites. At the University of Toronto, he conducted industrial failure analysis and determined the root cause of structural malfunction of C-connectors made of aluminum alloy 6061, crane wire rope, and steel fasteners. Dr. Mei has characterized the microstructure of a novel Ti alloy using optical microscopy, scanning and transmission electron microscopy. He has assisted other industrial clients with metallurgical product development such as improving dental drill bits and aluminum pistons. Though Dr. Mei is an expert in metallurgical applications, he is also very adept at helping our Life Science clients and has initiated and coordinated the purchase of a cryogenic ultra-microtome for the preparation of tissue samples. My research interests focus on the relationship among chemical composition, microstructure and properties of metals, alloys, and metal matrix composites, with special attention to applications of electron microscopy to materials, such as failure analysis. Z. Mei, Y. H. Zhu, W. B. Lee, T. M. Yue, G. K. H. Pang. "Microstructure investigation of a SiC whisker reinforced eutectoid zinc alloy matrix composite." Composites: Part A, 37, 1345-1350 (2006). Z. Mei, W. Y. Wang, A. H. Wang. "Transmission electron microscopy characterization of laser-clad iron-base alloy on Al-Si alloy." Materials Characterization, 56, 185-191 (2006). Z. Mei, L. F. Guo, T. M. Yue. "The effect of laser cladding on the corrosion resistance of magnesium ZK60/SiC composite." Journal of Materials Processing Technology, 161, 462-6 (2005). Z. Mei, Y. W. Yan, K. Cui. "Effect of matrix composition on the microstructure of in situ synthesized TiC particulate reinforced iron-based composite." Materials Letters, 57, 3175-3181 (2003).